The Nexia Bridge is the hub of your system and lets you manage your home through your online Nexia account and mobile apps. 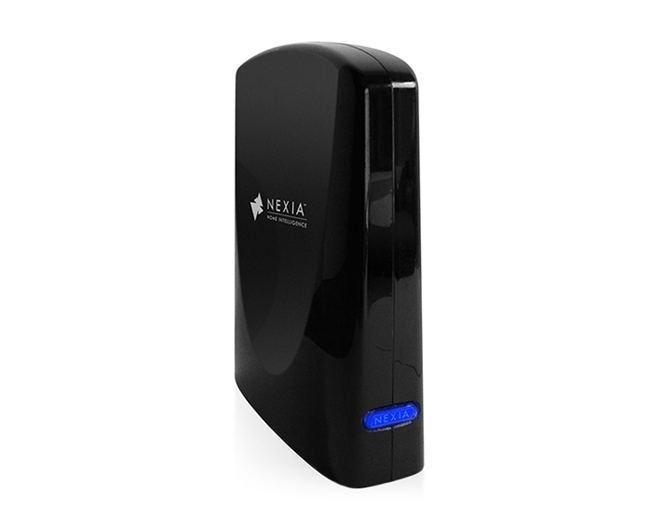 The Nexia Bridge connects to your router to allow you to control your home through a securely encrypted broadband Internet connection. It communicates wirelessly with many other Nexia-compatible Z-Wave products from leading brands giving you complete control over your home, whether you’re at home or away. The average Z-Wave communication range is 60-Feet to 100-Feet.